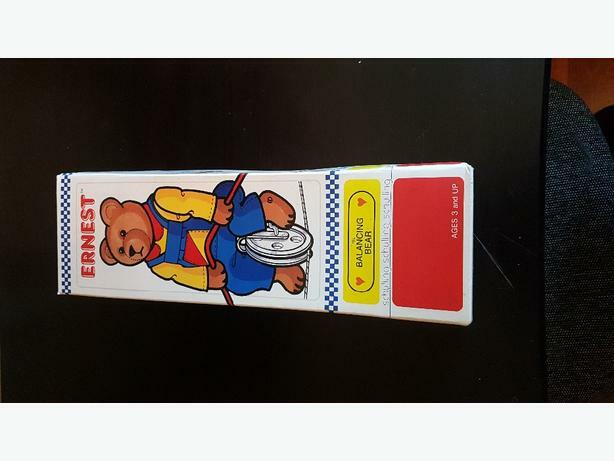 I have for offer, a fantastic condition Ernest the Balancing Bear. I fear displaying him, even in the packaging, because my cats seem to have an appetite for all my collectables destruction! So I'm seeing if anyone else can put this treasure to good use.